Finely crafted from North American Hardwoods. Sanded, ready to finish in either stain or paint. 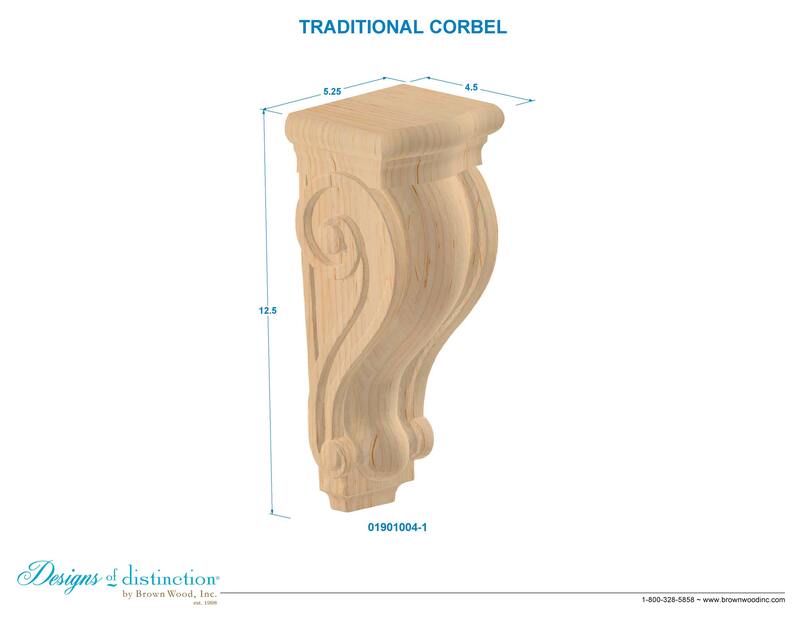 Carved with an ornamental scrolling design, the hand carved Traditional Corbel is regal and elegant and evokes the beauty of Classical design. Establish a theme using all wood components from the Classical Collection. Shop more of this look in the Classical Collection.